Little changes can make big differences in your business.  In the last edition of Marketing Rocket Fuel I described how enhancing the creative selling message in your promotional materials would give you a better return than investing in gold. Some of you were skeptical. The idea of dramatically different response rates seemed a bit far-fetched. Let me show you some examples that might help you decide for yourself. Most copywriting professionals who live and die by the results they produce agree that the headline accounts for 75-80% of the effectiveness of an ad. In e-mails, the subject line handles the headline’s job of attracting attention. Here is an example of a test I just completed. It was an e-mail sent to a list of drum majors throughout the United States. (The person who leads a marching band.) The e-mail informed them that a pair of new articles had been added to a website and encouraged them to click through to the site to read the articles. Two versions of the e-mail were created. All of the text was identical, except for the subject line. Each version was sent to one half of the list. We tracked both the number of people who opened the e-mail, and the number of people who responded by clicking through to the website. So, which e-mail subject line do you think pulled better? In this test, 29.8% more people opened the winning e-mail. Even more important was that 50% more people responded so they could read the articles. The winner was the second subject line, “New Drum Major Articles.” “New” is a very powerful word in advertising. It’s likely that the addition of this one word caused the significant difference in results. Here’s another example of how improved creative messages can create improved results. Many years ago, The Los Angeles Times tested a series of identical ads with different headlines. Each ad had a coupon offering home delivery of the Times. Which headline do you think pulled better? One of these headlines pulled three times the number of orders as the other. If you guessed, “How To Get The Los Angeles Times Delivered To Your Home” you’re right. That ad ran successfully for over 20 years. It was so effective that The New York Times and The Wall Street Journal began using adaptations of this ad. So, which headline do you think was the winner? One ad pulled 50% more sales leads than the other. The winner in this test was, “If you are a careful driver you can save money on insurance.” The direct, easy-to-understand appeal was stronger than the more complex idea of turning careful driving into money. Here’s one more. These ads ran in the pre-Christmas season and sold the idea of giving friends a one-year subscription to a popular monthly magazine. Each ad contained an order form, which the reader could use to order a subscription to the magazine as a Christmas gift. One ad brought in 90% more sales than the other. Remember, one of these brought in almost twice the number of orders. The winner was, “How to do your Christmas shopping in 5 minutes.” Evidentially the quick and easy way to complete a time consuming task was more desirable than the idea of recurring gifts. There are two key messages you should take away from these examples. 1. You need to track the responses to your marketing and test different appeals to get maximum results. If not, you are traveling through the forest blindfolded. You are also missing out on additional customers and income. 2. Getting your creative message right can make a huge difference to your bottom line. It can be the difference between barely getting by and having wild success. Remember, it costs just as much to run a bad ad as it does to run an effective one. The difference is in the results you experience. That’s why at Sentium we are obsessed with tracking the effectiveness of ads, mailers, e-mails, and websites. Combine that with years of learning what works in a number of different industries and you have a powerful partner for ensuring your success. The first step is to call to discuss your current needs. Call (800) 595-1288 to set up a review of your current program and get advice on how you can improve the effectiveness of every marketing dollar you spend. Looking to improve the sales volume of your business? The answer is to upgrade your creative selling message.